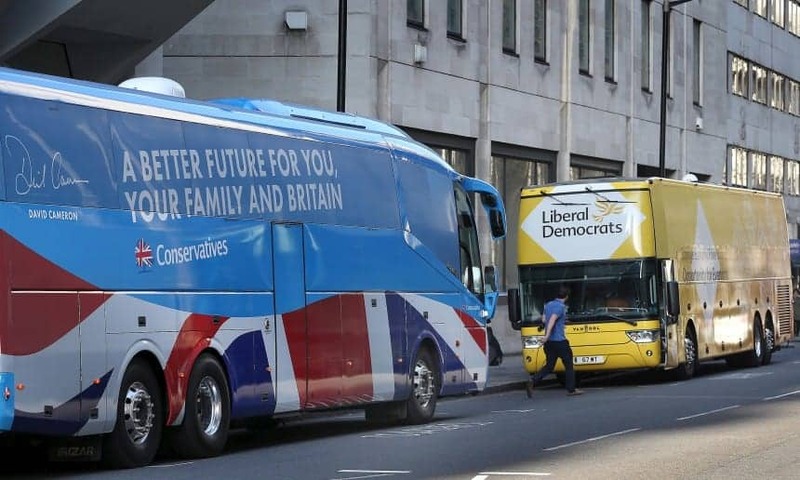 There have been claims made in the Mirror that the Tory MPs in marginal seats used the now infamous RoadTrip battlebus to help with their campaigns. The sticking point is none of the members declared it in their campaign budget. The RoadTrip campaign is already under investigation by the Conservative disciplinary board following allegations against organiser Mark Clarke, including sexual harassment and bullying. He has been dumped out of the party. The MPs who failed to declare tis campaign boost runs in thousands of pounds. Of the 24 candidates, 20 might have breached stringent spending limits if they had declared the battlebus rattled through their constituency. A breach of these limits is actually a criminal offence and could even lead to a demand for by-elections in these highly contested seats. The Conservative party has denied the costs needed to be declared as part of local campaigning. However Labour MP John Mann is insistent it had to have been declared. He said: “The RoadTrip costs should be part of the local spend. It was explicit support to promote a particular candidate. There were costs and expenses such as the travel being provided. “That’s unquestionably an election expense for the candidate being promoted and they need to account for it. It has been estimated that the cost of each battlebus on a daily basis is over £2k per constituency area, 20 of these places would have broken their budget with these costs added on. The Conservative party only formed a government with a majority of twelve, so these seats were pivotal in the general election race.The Conservatives spent £15.5million on their campaign, to Labour’s £12million. Mr Farage said: “The Conservative Party spend is already being investigated and these extraordinary revelations will add fat to the fire. “It seems pretty clear the RoadTrip was intrinsic to many campaigns, the Thanet South campaign included. Prof Anthony King an election law expert, and a former member of the Committee on Standards in Public Life said: “It all seems pretty fishy. “It sounds very plausible that this spending should have been declared by the individual candidates. A Tory spokesman said: “Election expense returns for the 2015 election were completed and returned by election agents in accordance with the law.